In recent teen pregnancy statistics, Carroll County, New Hampshire claimed the lowest teen pregnancy rate in the entire United States. In this book, Trisha Jacobson, Sexuality Educator and Teen Clinic Coordinator in northern Carroll County, NH tells us why. 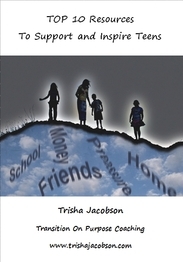 In this easy to use, step by step guide, Trisha outlines key components of effective youth programming along with specific approaches to enhancing self esteem in our youth and powerful principles to help young people deal with their past, live fully in the present and creating a successful and fulfilling future. Combining her twenty plus years of experience as a pharmacist, six years as adolescent health specialist, fifteen years working with teens in schools, clinic and community settings in the family planning field and her most recent work with Jack Canfield, America's #1 Success Coach and author of the Chicken Soup for the Soul Series and the Success Principles: How to Get From Where You Are to Where You Want to Be, Trisha cuts through the funding deficits, politics, moral arguments and logistical issues and gets right down to the business of building successful youth programs and support systems from the ground up or improving what you're already doing..
Trisha outlines a step by step, easy to implement system, along with resources and support that will have your school, community, state and region creating impressive results while empowering young people with the skills, tools and support to prepare them for success as they transition from school to career to successful future. Incorporating the latest brain research and her expertise as a hypnotherapist, Trisha addresses the subconscious aspect of teen pregnancy, academic failure, substance use and abuse and other teen issues and outlines how to harness the power of the subconscious brain to support healthier choices, high self esteem and ultimate success for young people and adults alike. Click here to see what readers are saying about this Best Selling title! Greg was newly engaged. Julia was on a camping trip with a friend. Their paths had crossed on many occasions since childhood, but they had never met. High on the top of Cadillac Mountain on the coast of Maine, immersed in the splendor of the sunrise, they came closer than ever before. Twenty years later, they connected on a dating site in cyberspace. Theirs would be a passionate yet tumultuous relationship that was directed by forces beyond themselves ... for a time and for a reason, but not for this lifetime. This book reaches into the dream world, spans across lifetimes and delves into the world of the paranormal. It is the story of a man, a woman, the little boy who brought them together, and the power that will always keep them connected. This story is about releasing fear. It is about accessing the energy that is all around us and using it to support us on our transformational journey. It will open your mind to new possibilities and expand your capacity for forgiveness, compassion, joy and unconditional love. 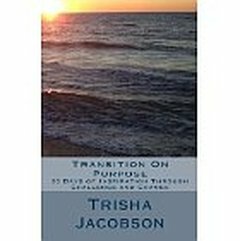 A captivating story of transition and transformation, this book is charged with the kind of energy and insight that invites you to explore the depths of your subconscious mind, embrace change like never before and be open to the idea that we are all connected in ways that go well beyond our human understanding. 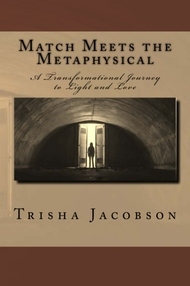 It also provides you with activities and tools to begin connecting with the spirit world, develop your intuitive and psychic abilities and intentionally harness your creative power using the Law of Attraction. Here are 10 things Trisha considers invaluable for parents of preteens and teens to know about. This resources guide includes recommendations for books and websites along with insights and tips around developmental assets, brain development, teen behavior, teen sexuality, pregnancy prevention and risk behavior and more! The Kindle or PC verson is available here for only $2.97! This book is about harnessing the power of the subconscious mind and using it intentionally to overcome limiting beliefs and challenges while building transformational habits that will support teens and adults in creating success and living the life of their dreams. 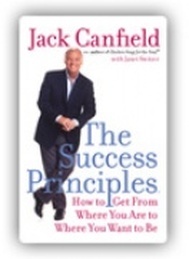 This book provides inspirational quotes and timeless wisdom along with activities, meditations, resources and the six daily disciplines of effortless success as taught by Jack Canfield, best-selling author of Chicken Soup for the Soul and The Success Principles for adults and teens.